Born For Geekdom: The Creature Lives! This is some majorly thrilling theme park news. 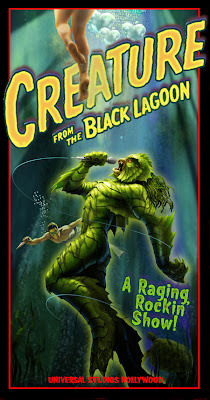 Universal Studios Hollywood to Debut Live "Creature from the Black Lagoon"
Here are some details of the new live show. Also, check out this INCREDIBLE marriage proposal. As someone who has always harbored the not-so-secret desire for life to be a musical, this is the ultimate dream come true.